Keeping skunks and possums, or opossums, away from your barn can take a lot of trial and error before proving successful. There are a number of commercial products available claiming to be the best repellent for such pests. There are also less expensive home remedies you can try. Attempting to capture these creatures in traps is not recommended -- if necessary, this should be your absolute last resort and must be performed with extreme caution and care for the animal. Sprinkle cayenne pepper around your barn's perimeter and entry doors. Purchase a motion-activated sprinkler or a commercial repellent, such as Scarecrow, Repel Granules and Boundary. Follow the individual product's instructions. Make a hot pepper repellent using one chopped yellow onion, one chopped jalapeno and 1 tbsp. of cayenne pepper. Boil ingredients in 2 quarts of water for 20 minutes. Strain the mixture and spray the liquid repellent around your barn's edges and doors. Place a radio to any talk station and leave it on inside the barn. 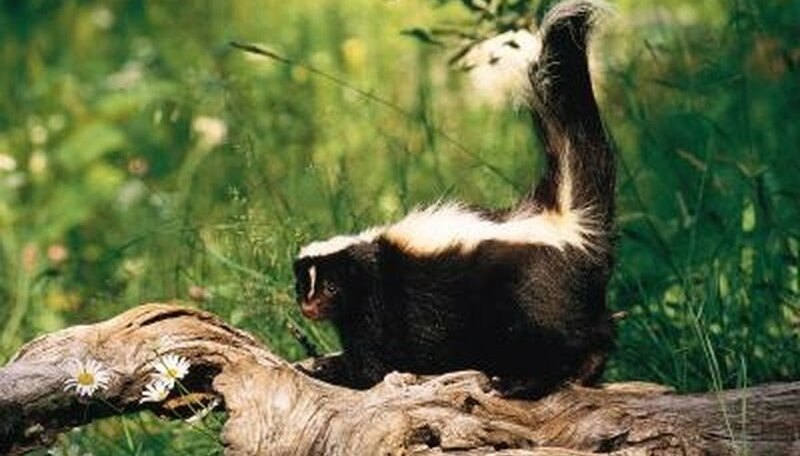 The voices will help deter skunks. Keep your barn and surrounding area clean of all garbage, grain and fallen fruit. The absence of food will help keep opossums away. Cut branches away from the roof of the barn -- leave at least 5 feet of space between the roof and the closest branch. Cut overgrown shrubs, stack wood piles tightly and fit garbage can lids securely to eliminate housing options for the pests. Purchase Hot Shot Possum Repellent, Shake Away Repellent, Scarecrow Motion-Activated Sprinklers or similar products. Follow the instructions on the repellent's packaging. Place coyote, fox or bobcat urine around the perimeter of the barn. These can be purchased at hunting supply stores. Place a bag of cat or dog hair near the barn to trick the opossums into believing there is a predator nearby.